In year three, 1980, the festival was reduced to six days and occurred against a background of political turmoil as Jamaican Prime Minister Michael Manley was ousted by a new Prime Minister, Edward Seaga, who insisted that the show must go on but moved it from Montego Bay to Kingston to protect the visiting tourists. Reggae Sunsplash continued through the 1980s drawing such internationally famous performers as Stevie Wonder and Deniece Williams from the United States; Maxi Priest and Steel Pulse from Great Britain, and South Africa’s Lucky Dube and Hugh Masekela. Lesser known musicians came from Japan, Israel, Germany, Italy, Brazil, Canada, and several African nations, including Cameroon, Ghana and Ethiopia. Jamaican artists such as Peter Tosh, Third World, and Dennis Brown continued to be the center of entertainment at the festivals. In 1984 Reggae Sunsplash expanded overseas with a one-day festival staged at the Crystal Palace in London, England, which drew 25,000 and a 1987 performance in Clapham Common Park in London in 1987 which attracted nearly 300,000 fans. In 1985 the Reggae Sunsplash World tour was launched in the USA and Japan and subsequent years its performers visited Canada, Europe, South America, and the Far East. By this point it spawned imitators such as the annual summer Rototom Sunsplash in Benicassim, Spain which in 2013 drew more than 250,000 people. Montego Bay’s Reggae Sunsplash began to decline in the 1990s. The last concert on Jamaican soil occurred in 1996. 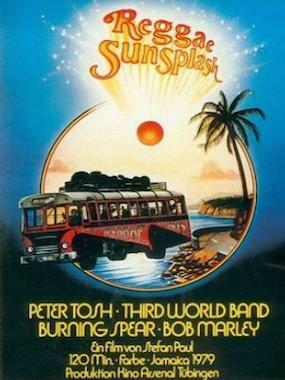 During many of its 19 years Reggae Sunsplash was not a financial success. Nonetheless it had provided a needed boost for the local economy and ensured that Reggae music would have a global audience. Java Immanuel-I, Reggae Sunsplash, 1978-1998 (Kingston: Caribbe Incorporated, 2010); Howard Campbell, “Remembering Good-Old Reggae Sunsplash Days,” Jamaica Gleaner, June 13, 2010; “New Tune for Reggae Sunsplash,” Black Enterprise, November 1997; Personal recollections of the author who was the public relations consultant for Reggae Sunsplash, 1978-1996.